As Spring/Summer is finally on it's way, woohoo, it's time to switch things up in the fragrance department and indulge in more refreshing spring time scents, so say hello to the gorgeous Eau de Lacoste Sensuelle*. Lacoste's new fragrance Sensuelle has been especially created for those gorgeous, sunny spring days and cool, refreshing evenings and was inspired by the original Eau de Lacoste fragrance. I'd describe Lacoste's Sensuelle as a sulty, chic fragrance for woman which is refreshing yet slightly deep at the same time, so if you like the deeper, more musky scents with a refreshing spring time twist then this will definitely be the fragrance for you. Taking into account Sensuelle's fragrant notes I think it's the perfect spring scent, it's such a beautiful combination that make Sensuelle so fresh, fruity and floral... Ohh I just love it! The wear time of Sensuelle is really good, the scent lingers all day and you often get little bursts of the scent which is lovely. Sensuelle tends to be at it's deepest when it's first spritzed, you can definitely tell the fragrance opens up with Pink Pepper and Blackcurrant, it then dries down to a more soft, sultry scent and isn't overpowering in the slightest, It really is pleasant to wear and is a scent that can take you from day to night. 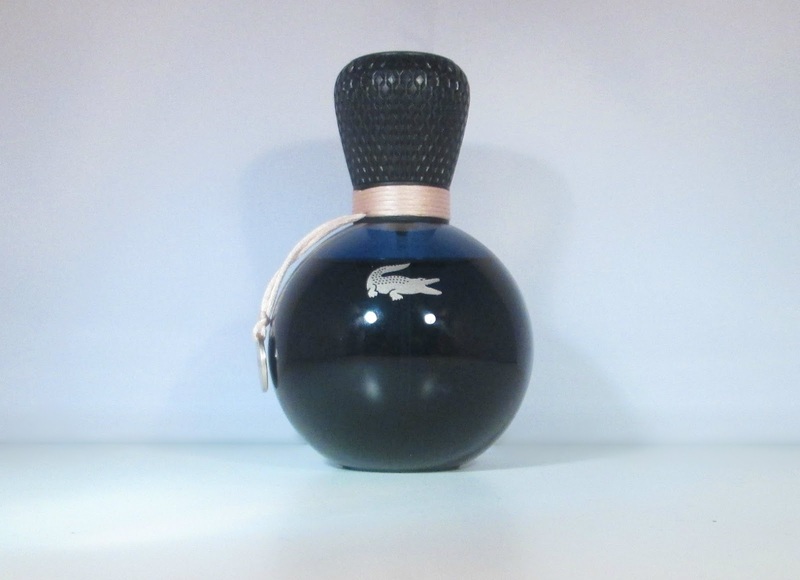 And lastly the beautiful bottle... Lacoste Sensuelle is housed in a deep midnight blue, rounded glass bottle that sits comfortably in your hand. 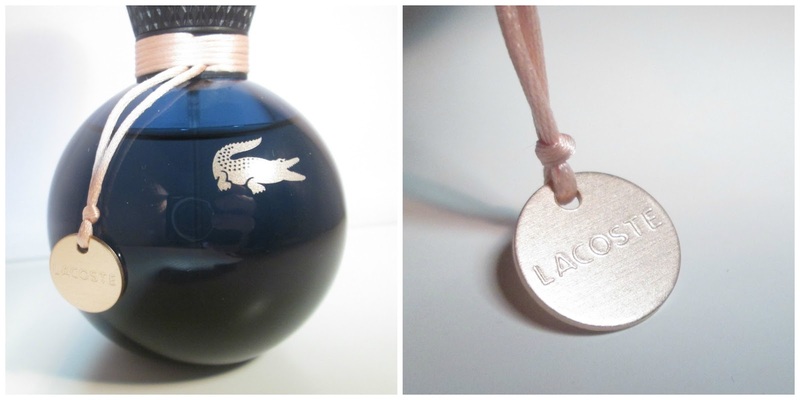 I love the fact that the trademark Lacoste crocodile has been luxed up on the bottle and now has a rose gold colouring, the neck of the bottle also features a silky cotton thread, from which a metal charm hangs and is embossed with the Lacoste logo, I think it's such a nice touch. Overall I do really like Lacoste new spring fragrance, it looks lovely in the bottle, it smells gorgeous and wears nicely too. Also with Mothers Day coming up on the 30th March, Sensuelle would make a lovely gift, especially if your Mum prefers slightly deeper scents that sweet scent. 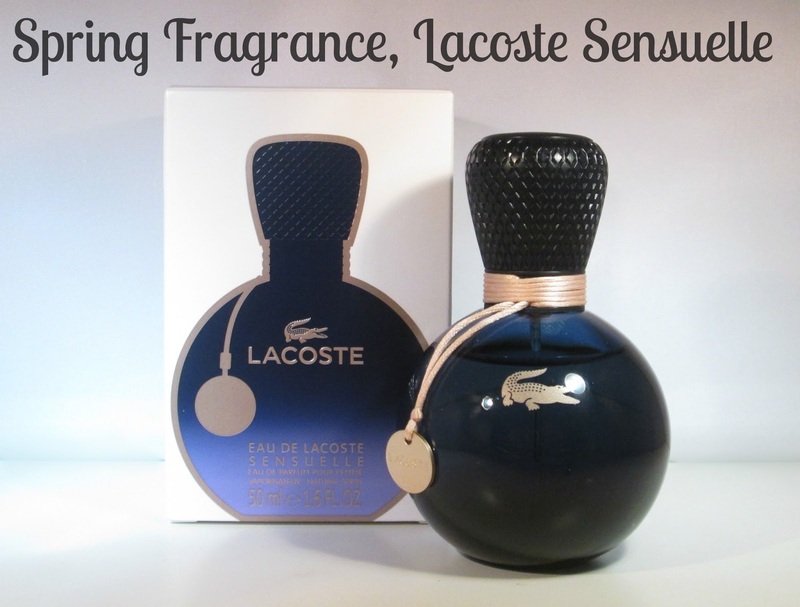 Lacoste Sensuelle is a new launch to the UK this March and is available in 30ml £33.00, 50ml £45.00 and 90ml £61.00.